We are a traditional but modern country inn located in the heart of Rye, just a couple of miles from the coast. A pub in a bookshop. For drinkers with a book problem. 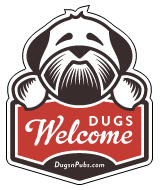 There are a total of 50 dog friendly listings in the South East Pubs category. Please log in, or sign up as a member to view all listings.